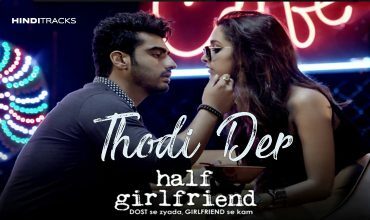 Half Girlfriend Movie Hindi Lyrics. 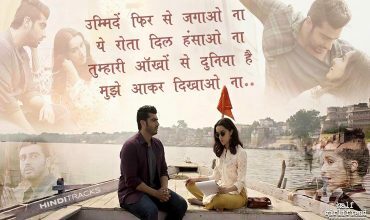 This is a Bollywood romantic drama movie based on the novel of the same name written by Chetan Bhagat. The film is directed by Mohit Suri and features Arjun Kapoor and Shraddha Kapoor in the lead roles. Produced by Shobha Kapoor, Ekta Kapoor Mohit Suri and Chetan Bhagat. 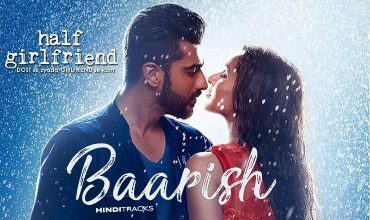 music composed by various musicians – Mithoon, Tanishk Bagchi, Rishi Rich, Farhan Saeed, Ami Mishra and Rahul Mishra, lyrics are penned by Manoj Muntashir, Arafat Mehmood, Tanishk Bagchi, Kumaar and others. Music rights Zee Music Company.